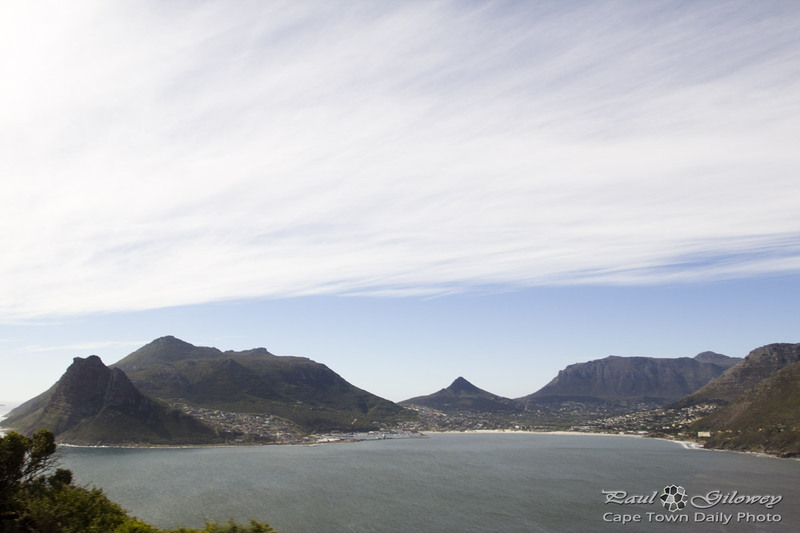 Chapman's Peak Drive is one of the most scenic routes in the Cape Town area. The area that you see in this photo is known as Hout Bay, or as locals often refer to it, the Republic of Hout Bay. As with our previous "stop" at Camps Bay, we never actually stopped on Chapman's Peak Drive since were in a rush to get around the mountain into Noordhoek, and over the hills into Simon's Town for our last official stop before hitting Kalk Bay for dinner. Posted in General and tagged chapman's peak drive, hout bay on Saturday, 27 October, 2012 by Paul.